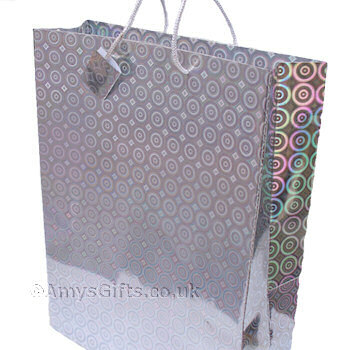 Make your purchase complete with a gift bag - shiny holographic SILVER metallic gift bag with rope handles. Make your purchase complete with a gift bag - shiny holographic SILVER metallic gift bag with rope handles. Size 27cm long by 23cm wide by 8cm gusset.